Let love help you see. How often do you feel at odds with the world around you? There are lots of reasons, past and present, to question humanity. The weight of current injustices and past human atrocities, can cause all who house a human spirit to feel unnerved. When we view the world through a fear based lens, we automatically separate from our truth. Our truth is our inner spirit – it’s pure love. When we align our perspective with our inner truth, the world around us begins to look and feel different. Aligning with our truth doesn’t erase the darkness within our world and humanity. There will always be darkness and light. The contrast exists to help steer us toward feeling a deeper sense of love. In order to experience connected perspective, we have to choose to tune in and awaken our inner truth and wisdom. When we connect inward and stay grounded in our truth, we approach our external world with new intention. Any situation can be softened with love. Love doesn’t excuse or erase, but it does transform our world view and momentum moving forward. This moment right now, is all any of us ever has. How we view, experience and act right now, is the determining factor that shapes our future moments. We can advocate for ourselves and others through the eyes of love – connected to our truth. We can experience presence and gratitude in our moments by staying aligned with our inner truth and source of love. This may all sound like a giant leap of faith, and perhaps a bit out of touch with reality. Bad stuff happens to all kinds of good people. Shouting from the mountaintops and getting sweet revenge may seem like the powerful route to creating needed change. But that loud approach only leads us to separate further from our truth. Staying connected to our inner truth requires commitment. The commitment is between you and you. In order to be in alignment, you must care about how you feel on a moment to moment basis. You’ll need to trust your feelings as the loud sign for how aligned or separated you are from your truth. Being aligned with inner truth is how we stay in touch with reality from a grounded perspective. Our grounded perspective has consideration for humanity and embraces our interconnectedness. I get how challenging it can be to stay connected to inner truth. External noise and influence from the important people around us, can entice us to want to separate from our truth. When we’ve spent most of our lives viewing our world and each other through a clouded view of judgment, separateness and fear – dropping into love and truth can feel like a vulnerable shift. Seeing love where others may see hate and fear, can feel like your pioneering through new territory. But, the territory isn’t new at all. When we view the world through connected perspective, we shine light on the dark corners we used to oppose or hide from. We get to experience ourselves and others from our inner view. 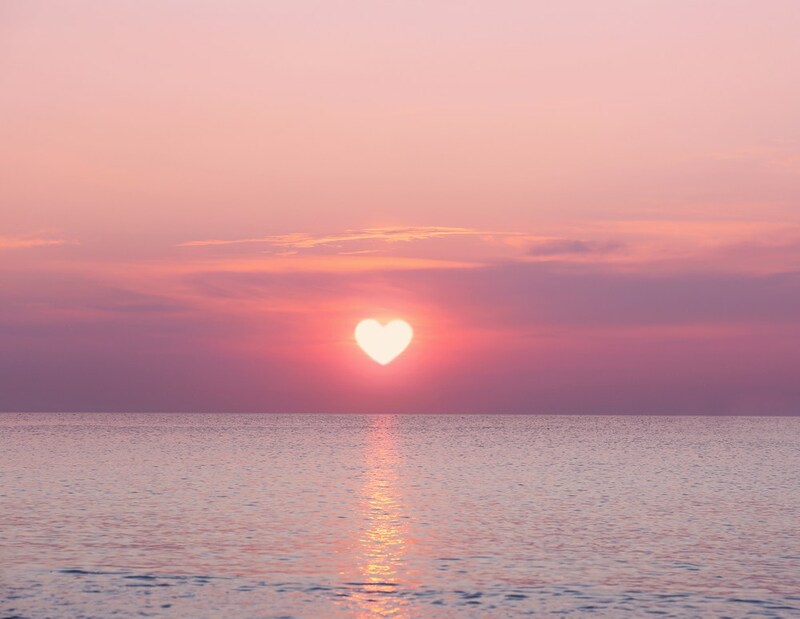 Much like taking in a beautiful sunrise, it always feels good to witness the world through light and love. A powerful way to practice alignment is to approach your day like it’s the unfolding of a beautiful sunrise. Instead of rushing into a frantic pace of to-dos, stories, and judgments – open your eyes to see yourself and your surroundings through the view of a brand new day. Spend your first few minutes giving thanks for the gifts around you. Allow that feeling to sink in and awaken your inner spirit. As you go about your day, invite yourself to see and experience the world before you through the eyes of love. Ask yourself often, what would love do here? It’s a daily practice and perspective worth trying on. I’m getting set to launch a monthly membership for women called Empowered Living. If you would like to be the first to know, you can subscribe here.